Yesterday was one of the scariest drives in to work I have had yet. I may have called me mom in tears on the highway (don't worry, I have sync so the call was made hands-free). There was about 3 feet of visibility in front of my car, and that was it. I had no idea if anyone was in front of me, and I would have been dead in a second if they would have tried to use their breaks. My nerves were shot by the time I got to work. It was a rough day. I left work early yesterday for a hematologist appointment. The doctor confirmed that I have Factor V blood clotting disorder. They took about 14 vials of blood from me to see what type of Factor V I have. I guess there are many different strains of Factor V, or at least that's how I understood it. I'll find out more, soon. 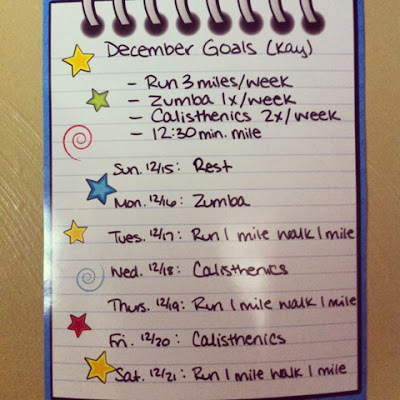 On Sunday, I made myself a workout plan for the week. Last night, however, I didn't feel like following it. That just means I'll have to double up on my workout tonight. I am really not happy with yesterday me. Darn me for skipping my workout and making Christmas gifts while drinking amazing hot chocolate with cool whip on top, instead. I don't know much about blood clots but I know two people that have something regarding it. One, a woman was told it would be hard two have a baby and she now has two kids. They actually thought of adopting. The other is a military member in Afghanistan and he gets it when he sits a long time. So your not alone. 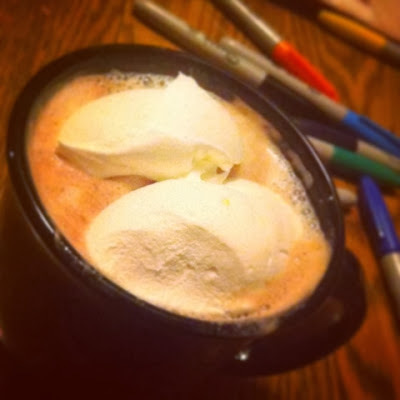 You hot chocolate does look great!